As we enter the final quarter businesses will probably be reviewing their progress in 2018, and checking out opportunities for next year. Freefoam highlight the updates and additions to its whole product range that have taken place over the last six months. The roofline range has had a boost with the addition of Anthracite Grey to the Round Rainwater system. With the continuing growth in grey across the window, door and roofline market this new product means suppliers can now offer both the Deep and Round gutter options to customers. Perfect for new build and RMI. The phenomenal demand for cladding shows no signs of slowing. Freefoam added a beautiful subtle grey green shade to its 170mm Weatherboard range called Sage Green. 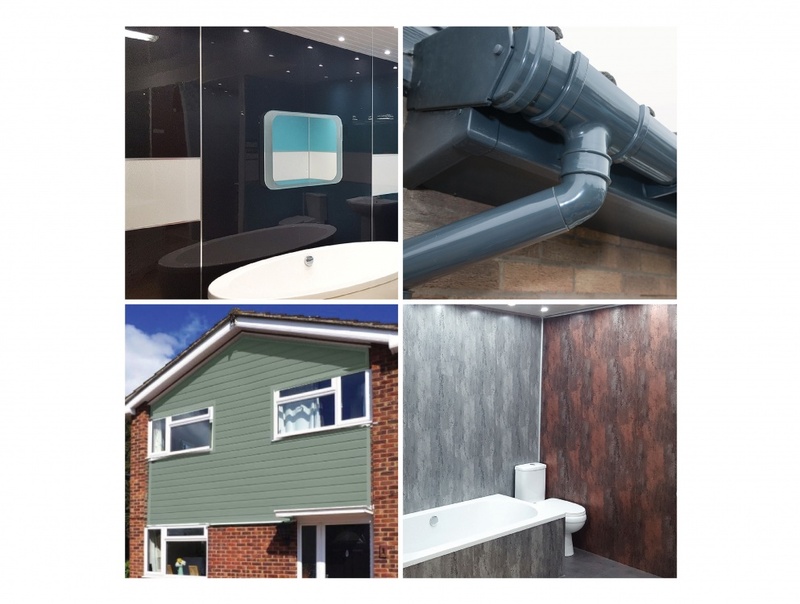 Appealing to those who want to achieve a traditional ‘heritage’ look but with the benefits of low maintenance PVC this product adds additional colour choice, augmenting the existing cladding range, bringing the total number of colour options to an impressive eleven. PVC Interior Panelling is a popular product for independent suppliers. It offers the opportunity to service both the trade sector, who appreciate the time saving benefits of panels over traditional tiling, and reach into the DIY home improvement market where homeowners want an easy to fit, quick make-over product. Freefoam extended the Geopanel range adding new designs and colours including tile, slate and concrete effects. Freefoam has also added to its internal panelling range, launching Acrylic Panels. High quality, high specification panels suitable for kitchens and bathrooms in a contemporary colour range. “Our focus is to help our customers win more business because their growth is our growth.